Under the patronage of His Highness Sheikh Abdullah bin Zayed Al Nahyan, Minister of Foreign Affairs and International Cooperation of the United Arab Emirates, Abu Dhabi Classics is gearing up for its eighth season and is set to bring a dynamic and diverse programme of classical and traditional music to the Capital. Abu Dhabi Classics concert goers can expect a rich and diverse programme including orchestras from Europe, world renowned conductors and internationally acclaimed soloists. One of a kind ballet and classic operas will also be performed across the Emirate in a range of eclectic venues. 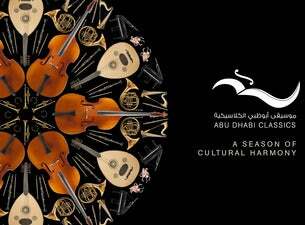 Abu Dhabi Classics is organized by the Department of Culture and Tourism – Abu Dhabi and produced by Flash Entertainment, the region’s premier live events company. The Abu Dhabi Classics concerts will run from September 2018 until April 2019, stay tuned!